> Buy Key Cabinets Now! Up to 10 year battery life! 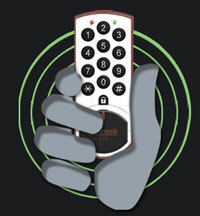 Manager code can access and change user and service codes at any time. 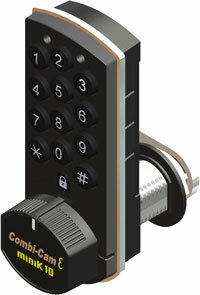 Flexibility in programming optional functions such as warning beeps if key cabinet is left open. 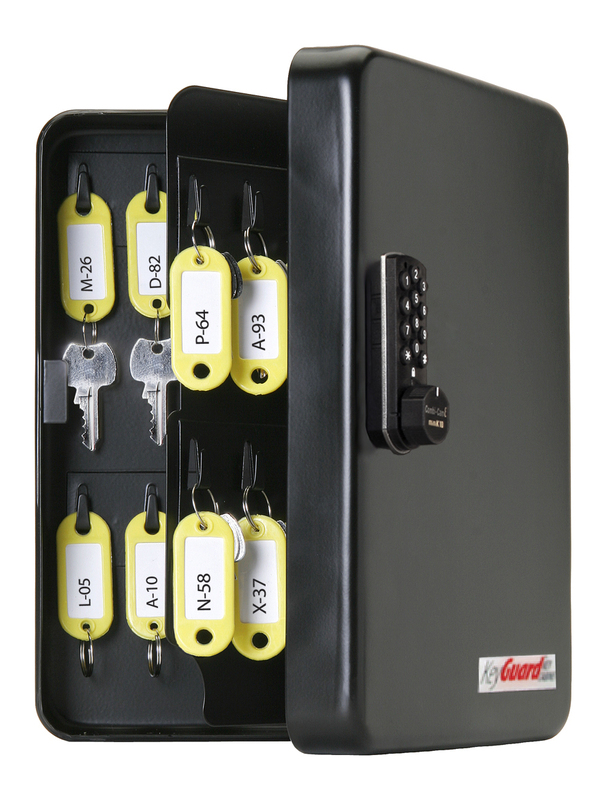 Featuring the Combi-Cam E electronic key cabinet with over 10,000 available combinations. 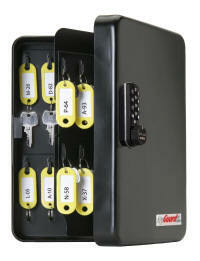 The steel key box has a continuous hinge for added security. 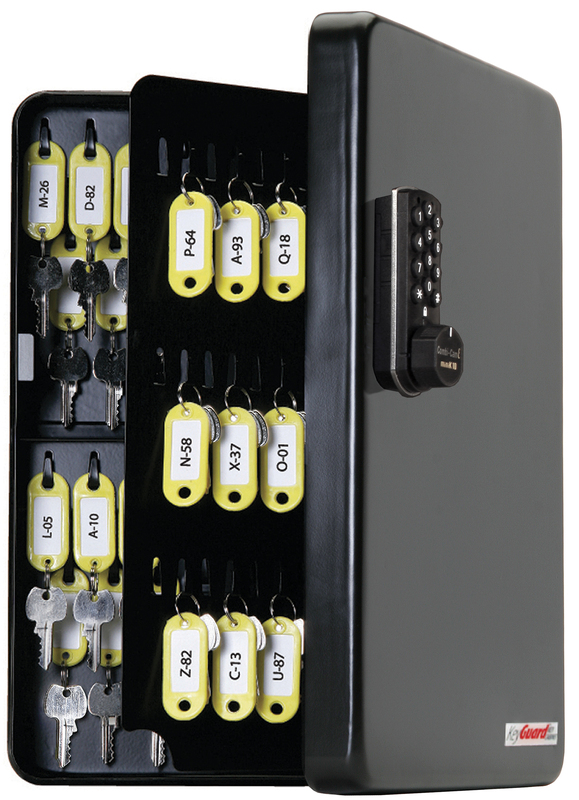 Keys can be hung either on steel hooks or used with the included key tags. 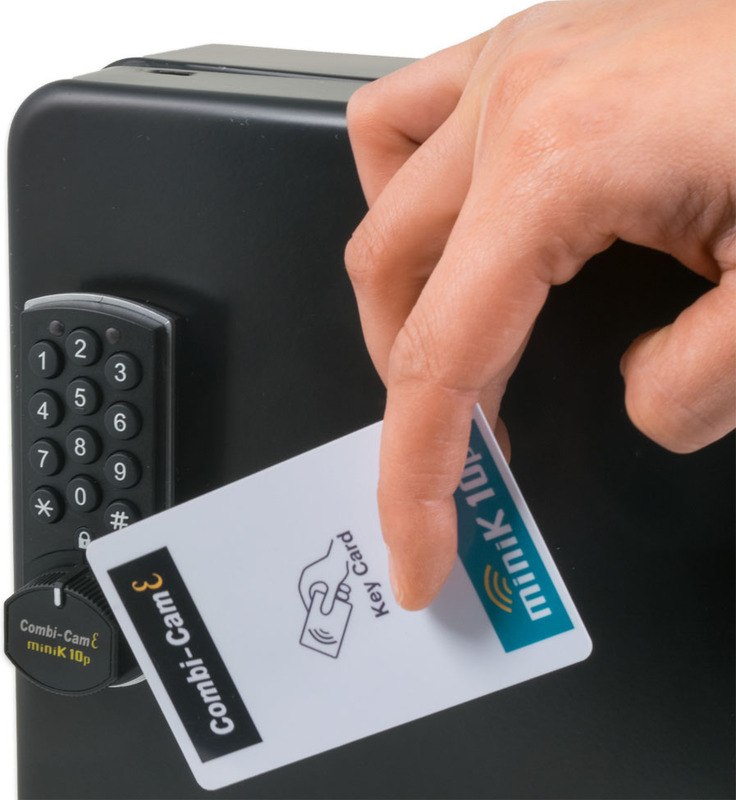 Easily set the combinations at any time. 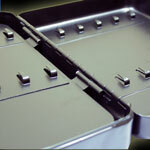 Mounting supplies are included making installation convenient as well. The multi-colored key tags are easy to reuse by inserting new labels. Check this page to download free label templates, key location charts, sign-out forms and other helpful key management tools. Click here for more information or to buy!